PRESIDENT OBAMA makes no secret of his eagerness to visit Cuba, but as recently as December he insisted that there would be no such trip until human rights and civil liberties on the island had improved. President Obama shakes hands with Cuban ruler Raul Castro at the UN building in New York, Sept. 29, 2015. Human rights in Cuba have deteriorated since US diplomatic ties were restored. "What I've said to the Cuban government is, if . . . we're seeing some progress in the liberty and freedom and possibilities of ordinary Cubans, I'd love to use a visit as a way of highlighting that progress," Obama told Yahoo! News. "If we're going backwards, then there's not much reason for me to be there." Cuba is going backwards. By all accounts, the Castro regime's repression has grown worse, not better, since the renewal of diplomatic ties with the United States in 2014. Beatings and arrests of dissidents have soared. There has been a crackdown on churches and religious groups. Yet Obama announced last week that he's going to Cuba anyway, thus abandoning his December pledge and rewarding the hemisphere's sole dictatorship with the enormous prestige of a presidential visit. 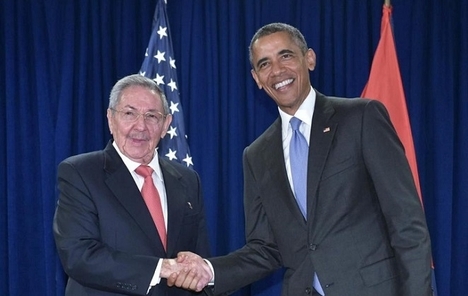 Obama claims he'll "speak candidly" to Raul Castro about human rights and democracy. But his desire to go to Havana isn't about the plight of Cuba's dissidents. It's about making his diplomatic embrace of the Castro government a permanent fact of life. As deputy national security adviser Ben Rhodes told reporters Thursday, the president's goal is "to make this an irreversible policy." So far, Obama's "engagement" with the Castros hasn't opened even a crack in their Stalinist system. It is folly to imagine that his trip next month will do anything to expand freedom or justice for Cuba's beleaguered people. But, oh, what a boon it will be for their brutal rulers: the ultimate stamp of approval for the only totalitarian regime in the Americas. A visit from the president of the United States is a huge deal in most countries. The opportunity to host the leader of the free world is a coveted prize, especially for nations that are not global powers in their own right. President Obama has traveled widely, visiting more than 50 countries to date. But that still leaves nearly 150 countries he hasn't been to, many of which would relish the chance to welcome an American president and bask in the international spotlight that accompanies him. Some foreign journeys presidents undertake because they have to. Attendance at NATO or G-20 summit meetings is part of the job. Authoritarian states such as Russia, China, or Saudi Arabia merit presidential visits because they are too important to snub. But when it comes to discretionary travel, shouldn't a president visit nations that the United States admires or particularly wishes to encourage? If Obama is concerned to promote liberal democracy and civil rights, why go out of his way to bolster the odious Castro government? Instead of lending legitimacy to Cuba's entrenched dictators, Obama could pay a visit to Lithuania, a former communist-ruled dictatorship that is today a robust multiparty democracy. Instead of honoring Latin America's only dictatorship with a visit, he could travel to Tunisia, and publicize his support for the Arab world's fledgling democracy. 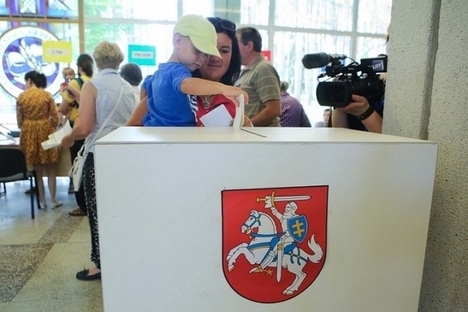 Instead of lending legitimacy to Cuba's entrenched communists, the president could visit countries like Lithuania, Mongolia, or Slovenia — all of which used to be communist-ruled, but today are robust multiparty democracies whose leaders are chosen in free elections. Instead of bestowing the trappings of a presidential visit on a country where human rights are routinely strangled, Obama could head to Finland or New Zealand or Slovakia — civilized nations where human rights are firmly upheld. From Cape Verde to Belize to Taiwan, there are worthy destinations aplenty for a president seeking to make a statement about American values and friendships. Cuba isn't one of them, and Obama shouldn't be going.